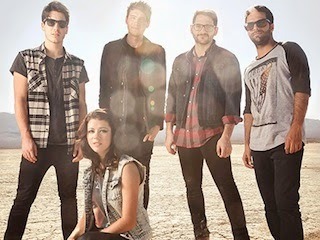 Calling all We Are The In Crowd fans! The wait is finally over. You can finally stream the band's long-awaited new album Weird Kids in its entirety below. The New Yorkers' sophomore full-length will be officially released on February 18th via Hopeless Records. You can read our 4/5 review of Weird Kids here. Don't forget to catch We Are The In Crowd on their upcoming headlining tour with William Beckett, Candy Hearts, Set It Off and State Champs. Dates and ticket information can be found here.